Students love publishing their work to the web and sharing their creative insights with their peers and the world. This is a perfect time to remind these prodigious producers of content about being good digital citizens and respecting copyright licences. There are many great sites where students can find copyright free or creative commons images and music but they can just as easily create their own music with applications like Garageband or this fabulous suite of tools at Aviary. No knowledge of music is necessary to quickly create an intro or 'outro' for their work. I did this 10 second intro, recorded my voice, added some special effects to the voice and in no time at all, I've got an original piece ready to add to podcasts and videos. 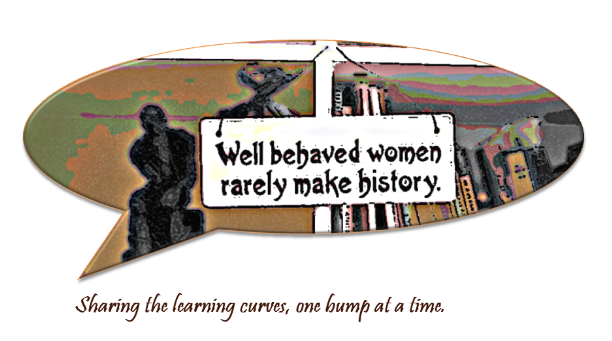 But be warned, you might find yourself spending more time than planned on testing out the great loops on Myna. In my Philosophy for Teens class this semester, the students and I decided that the reflective blogging would be self-assessed. We decided on a minimum of five blog posts for the term. The students are encouraged to write about anything related to the content and questions (philosophy is all about the questions) that arise from the course. We chose to have a class blog instead of individual ones. 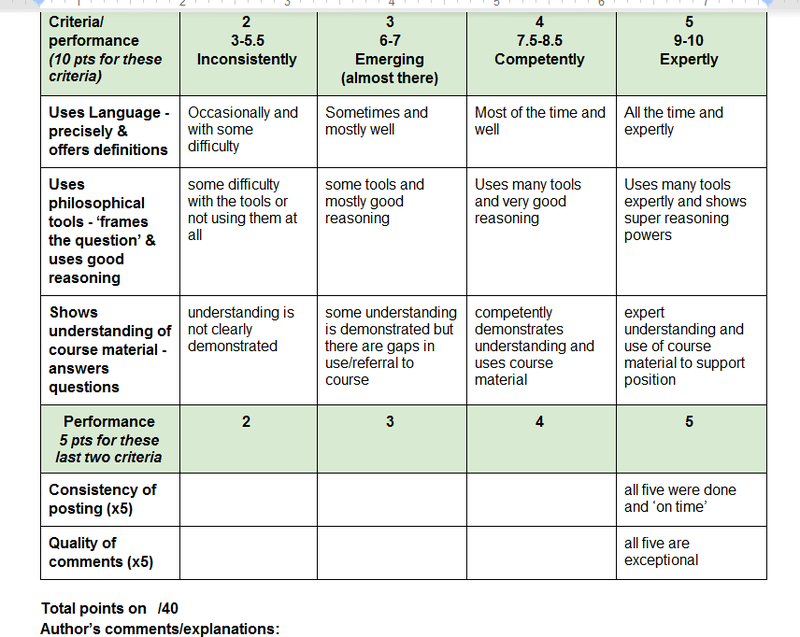 They chose their two best posts, self assessed with this rubric and then gave a short explanation of their assessment. This is wonderful and very powerful learning for the students. I have done this in other classes as well and have found that I almost always agree with their assessment. I especially like reading their explanations of why they gave themselves that mark. On the odd occasion where I have disagreed with a student's self-assessment, I marked higher than the student! 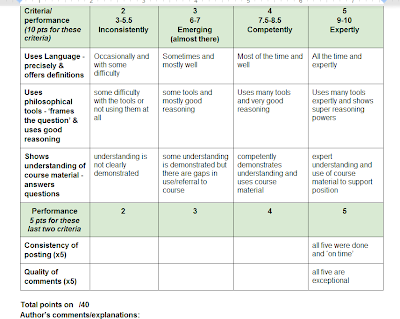 Here is the rubric we constructed. It could be easily adapted for other courses. 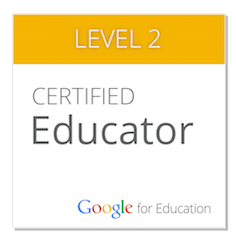 My goal is not 'lightening my load' (although that is appealing) because I read all their posts and check their self-assessments. The point of the exercise is meta-cognition: get them thinking about their work, about their thinking, about their questioning of each other and especially how they engage others in the process of enquiry. Out of everything I do in one week, the time I spend with this class and reading their work is precious. It brings me joy. And then I think of Dean Shareski who said to our Unplugd group last summer that teaching should be about joy. That idea just won't let go. So have a go at it. Use the rubric or some of its ideas, get your students to weigh in on creating a rubric (see Anne Davis work on this) and let them self-assess. You will be impressed with their honesty and exactitude. Take a minute and stop by their blog. You might find that you want to jump into the fray!